through our Love Family Homes program. & attend school in a large family environment. monthly food packs, community support & life-skills. Our Programs recently featured on CNN! or orphans moved into loving foster homes! Sponsorship of the children continues ... and EVERY CENT GETS SENT! Sponsorship means that the children are provided with living and school supplies and are fed and clothed - and lovingly cared-for every day - UNTIL they can be returned and supported back into their own homes! 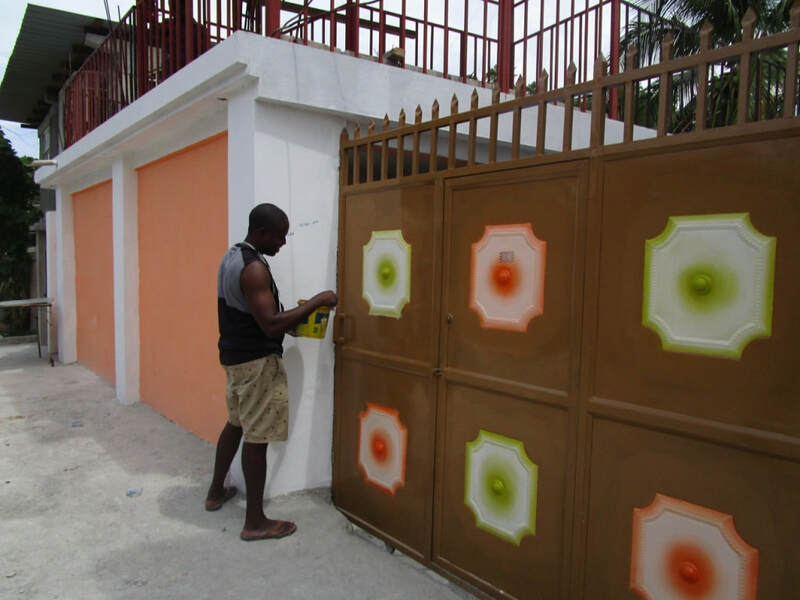 The suburb of Carrefour is often described as a 'bedroom community' - a place to sleep - for those who work in Haiti's over-crowded capital city of Port au Prince. 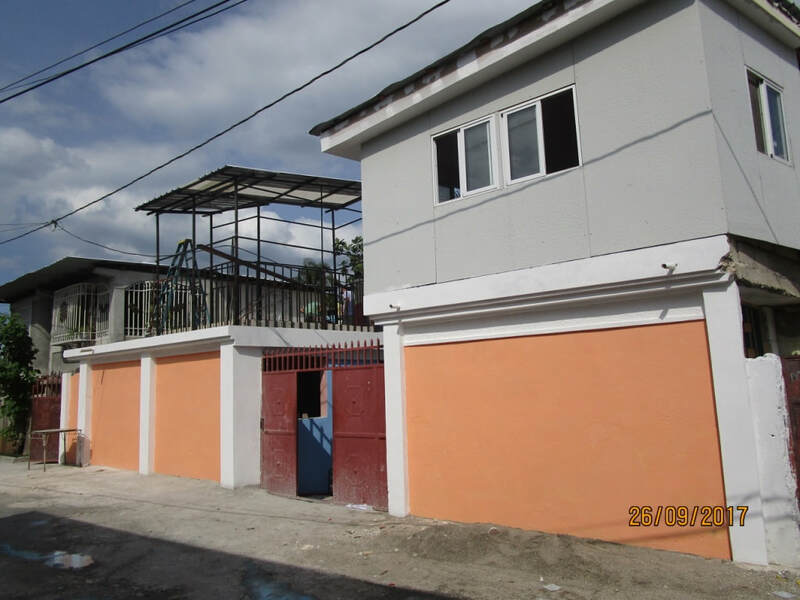 This largely residential 'commune' can be described as a microcosm of all the ills of Haitian suburban society: rampant poverty, endemic unemployment, illiteracy, limited public services and schooling, sporadic power and families trying to eke out an existence amidst often unsanitary living conditions. Smoky air fills dilapidated or temporary 'tent' residences. Many of these residences do not have ongoing access to electricity, or gas stoves for cooking... like I found to be the case at Love 'Orphanage' when I first visited there in 2011. 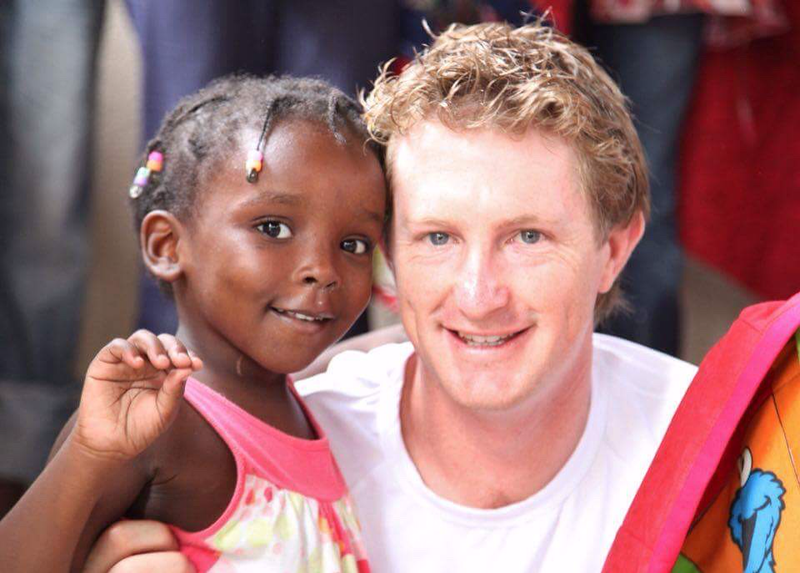 In a back street in Carrefour, in 2011, one year after the devastating earthquake hit, I was escorted to visit this small orphanage. Dilapidated from the after-effects of the quake and with a leaking roof over beds that had little or no bedding, I met fifteen children who were being lovingly cared for by husband and wife team - Pastor Guy and his wife, Madam Vincent. They desperately needed help. 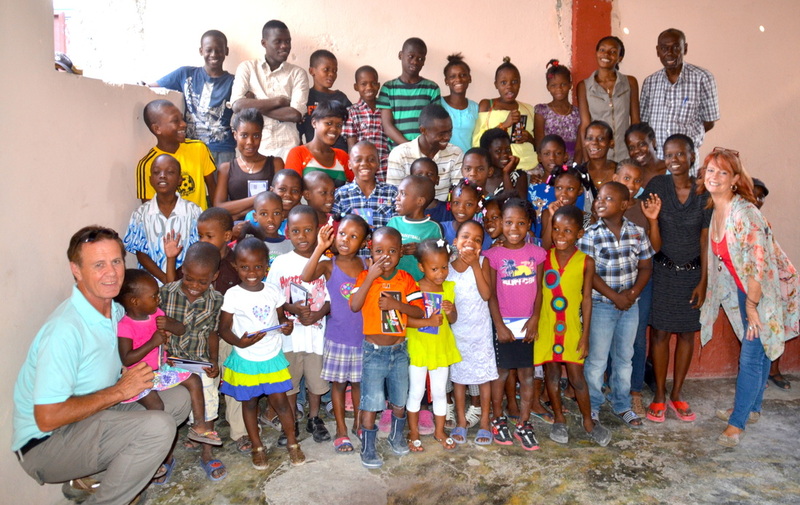 I went home determined that we had to partner with them to under-gird their vision to care for these precious children - some of Haiti's most destitute. 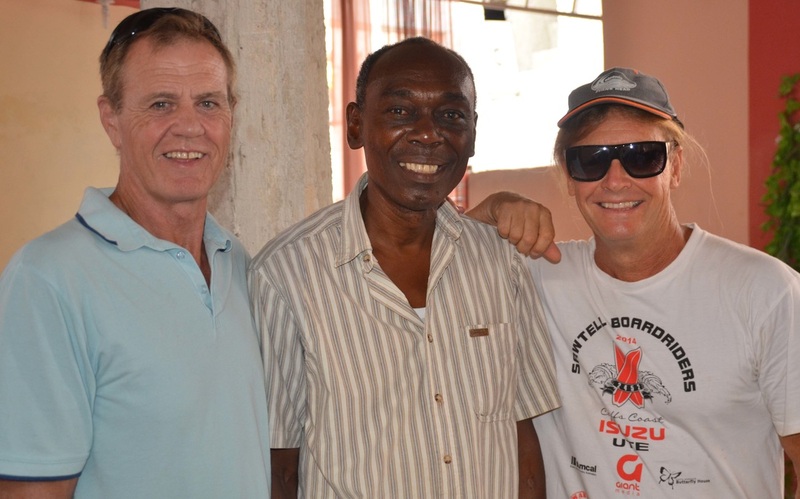 In 2012 our small team began renovations of Love Orphanage - as it was then known then. 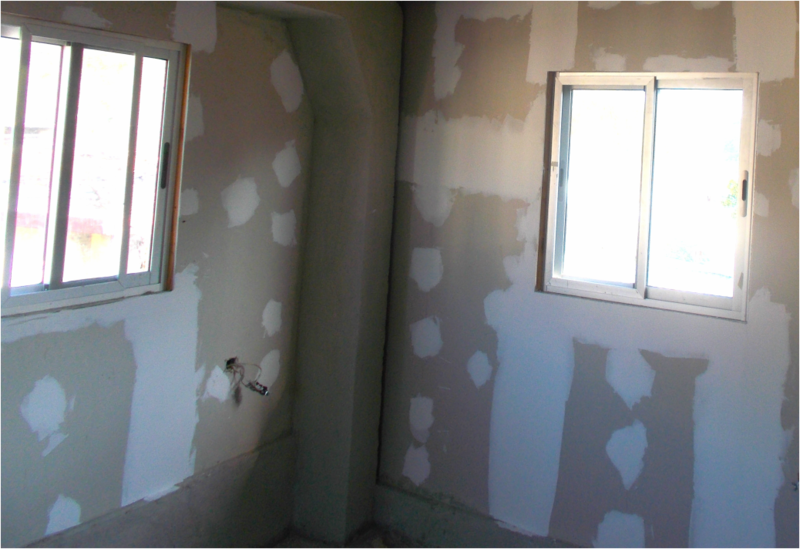 David, John and our small team started work cleaning and renovating the small rooms. 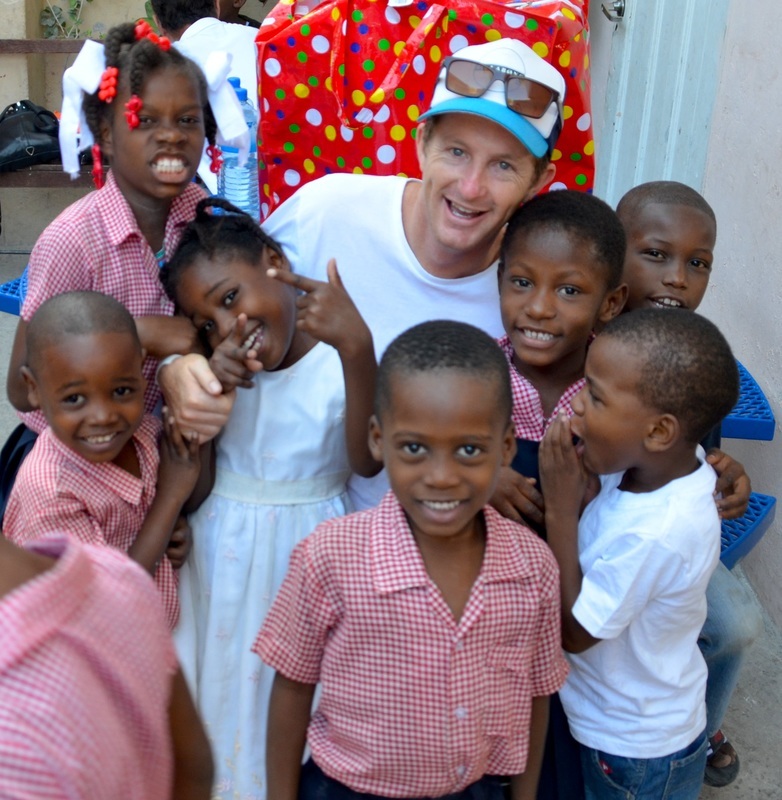 2012 also saw our wonderful Michael Crossland and his great friend Simon O'Dell visit the Orphanage to begin renovating the rooms, purchase new beds and sleeping mattresses and deliver donated, hand-made quilts. It was a dramatic change from beds with no mattresses and a leaking roof above the children when they slept! 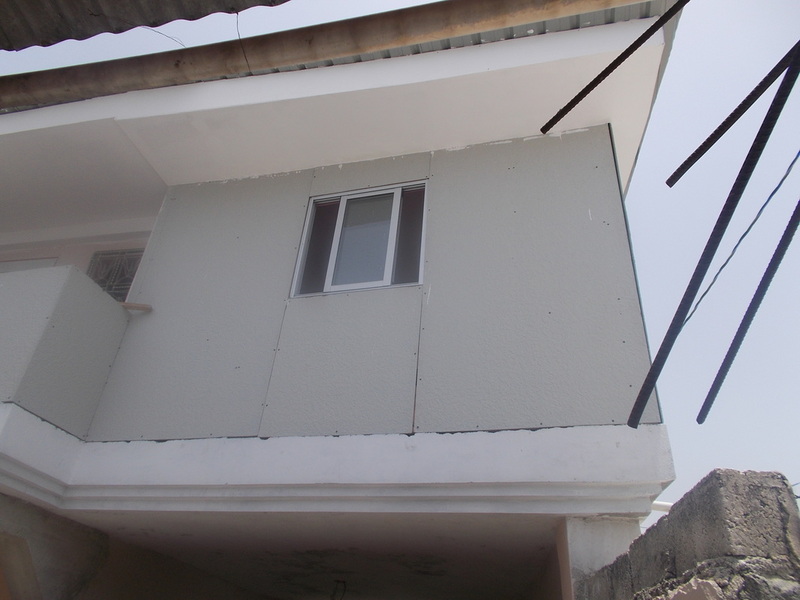 This building project was continued during our journey there in March, 2013 when the upper children's bedroom, bathroom and verandah were added. 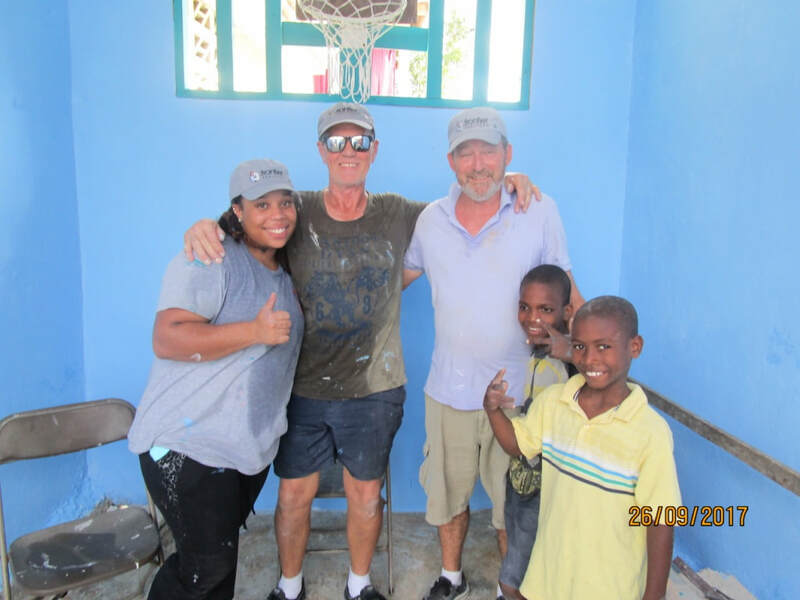 Michael and (the late) Wayne Glenn undertook this project and the addition of all these rooms has made an awesome difference for the children! Sadly, Wayne, a respected local Coffs Harbour businessman and past president of the Rotary Club of Coffs Harbour, lost his battle with cancer late in 2014. There is now a lasting memorial plaque to Wayne, at Love Community Home. We miss him and will always be grateful for his generous heart and help. 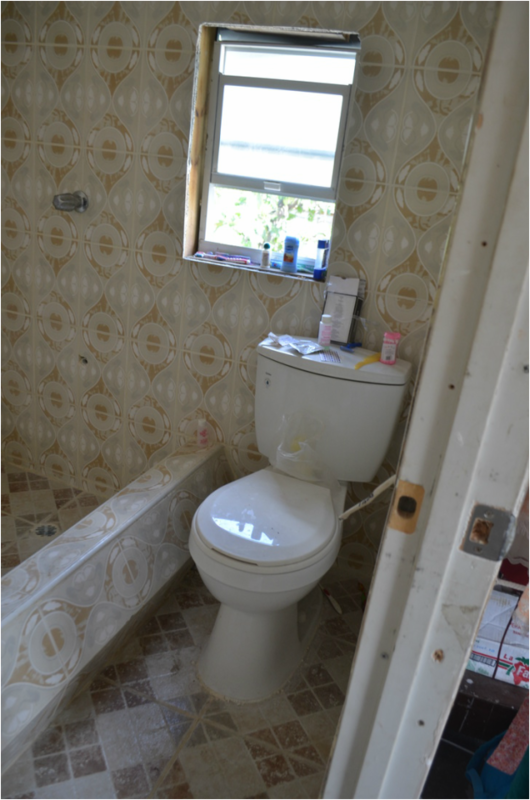 In 2014 - we completed the bathroom - adding all the plumbing, the pump for water, and the toilet and sink. Many of the donations for what is accomplished at Love Community Home came in through people who donated through Michael spreading the word!! We employed a local plumber to complete all the plumbing work. Now the children have a flushing toilet and running water in their bathroom. 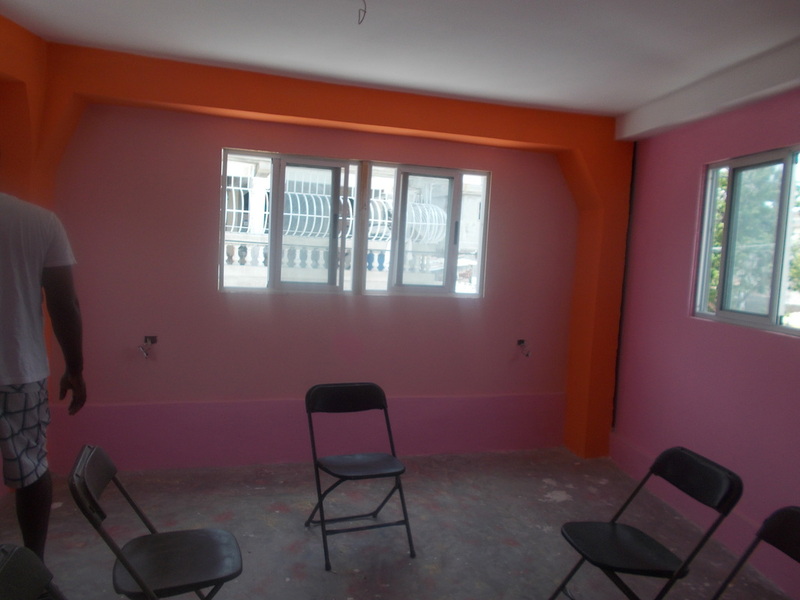 Donated building supplies and tools have also meant that the local builders in Haiti have been trained as they work with our teams, and equipped for future business. 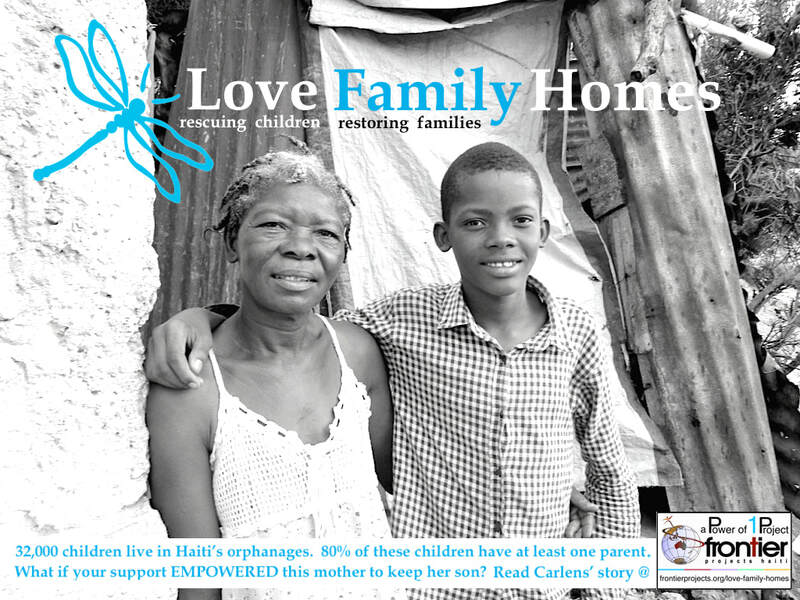 In 2014, "Love Community Home" was renamed and re-visioned instead of Love ‘Orphanage’. The UN Convention on the Rights of Children has long endorsed family-based care where possible, and they encourage governments to work in the best interest of the child when it is not. Those children who are true orphans will continue to be cared for and schooled here at Love Community Home. 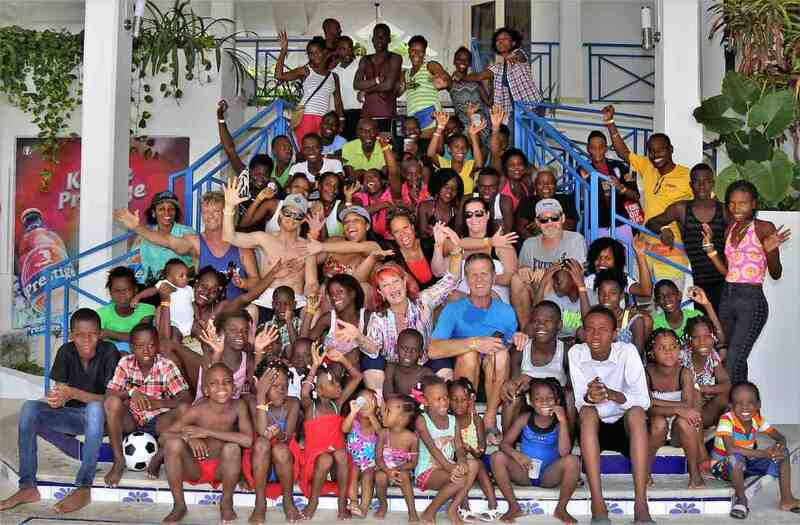 However, in 2014 we changed our focus for those children who do have some family. Many of the children were found to have a single parent or relative that left them at Love Community Home as they had no other way of supporting them. We now seek to reach out to those family members in the Carrefour area, re-unite them with their families and invite the families and these children to be part of the Love Community Home support, meals and schooling/training throughout the day. This was such an exciting step and is now on-going! 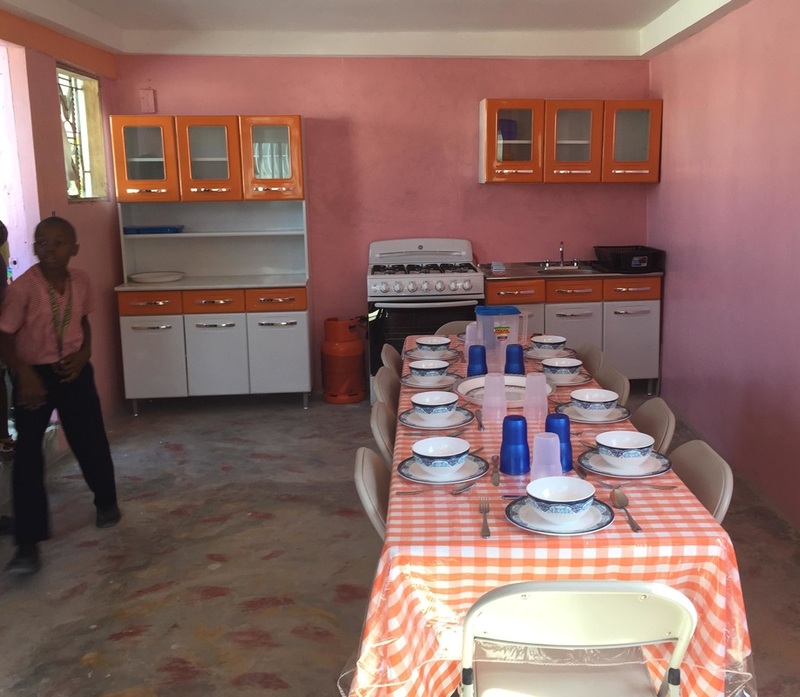 2015 Journey of Hope: we initiated the next stage of Love Community Home renovations: the addition of the kitchen which will be fully operational and decorated by July! 2015 Journey of Hope, saw the start of the new upstairs kitchen and planning for the next stages with Pastor Reggie and Pastor Guy (Home Father). We were thrilled also to announce that many families for these children were found and we are now continuing to reach out to them! We now continually look for ways to further support the parents or relatives of these precious children, allowing family bonds to be strengthened and supported. Late in 2015, the kitchen was finally finished due to generous donations from many who found out what we are undertaking, through Michael spreading the word! 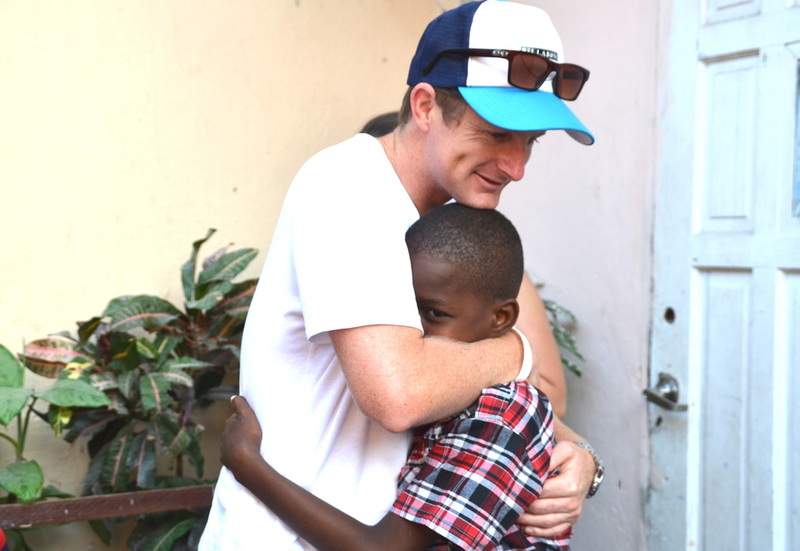 How we appreciate Michael's ongoing care and compassion for these children. second sponsor for their schooling. This now allows us to keep the sponsorship amount to a very affordable level, while allowing those children at school age to further their education. Some sponsors like to take full sponsorship of their children. We are incredibly grateful to all our generous sponsors. 2015: The new kitchen being painted. 2015: The new kitchen from the outside. November, 2015. The new kitchen is finally complete and in use ready for Christmas! 2016 John, Cheryl, Michael and Mel (Michael's wife) visited in January. We all spent much time with the children: their photos and information were updated and vital 'Future Directions' decisions were made and renovation projects planned. The 2016 September Journey of Compassion was incredibly special - when many of the renovation plans were completed. Dave and John undertook practical building and carpentry projects with Totale (our awesome resident builder), Cheryl and Tash updated all the children's information and shopped with Merline and Patricia for new clothes and shoes, and all the bedding and new manchester! All the children were presented with hand-made quilts from three incredible mums back in Australia: Katrina, Jenny and Sally. The children loved them! 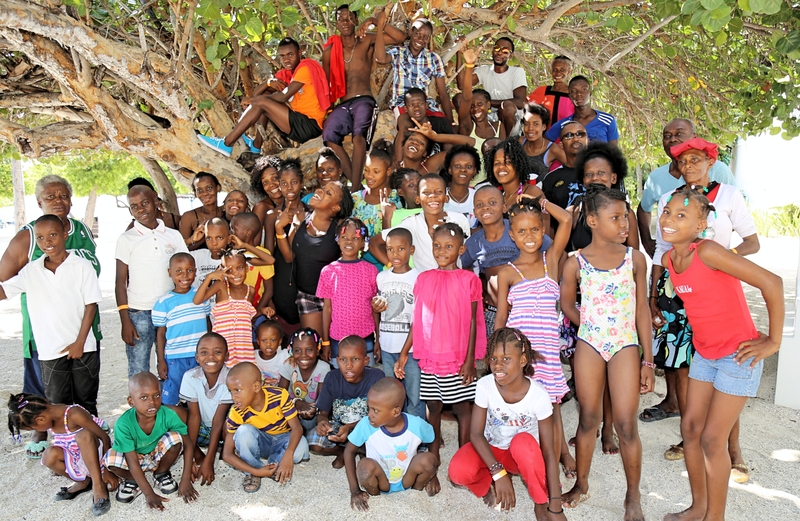 The highlight event had to be the day we took the children and staff to a resort beach! We loaded everyone into a big, yellow bus and headed off to a beautiful beachside resort where they paddled, played, enjoyed a HUGE buffet lunch together had the most wonderful day filled with laughter, sun, fun, food, play and swims! Most of the children had never been out of their earthquake-ravaged street, let alone to a resort-beach! So heart-warming to hear them singing praise songs when they arrived home after their special day! Our 10 orphans in LCH are still as always, attend school and are lovingly cared for in a large family environment. As of 2018, we now employ & train two staff as Social Workers & support each child through their school & home life AND support LCH staff. Our Programs recently featured on CNN! 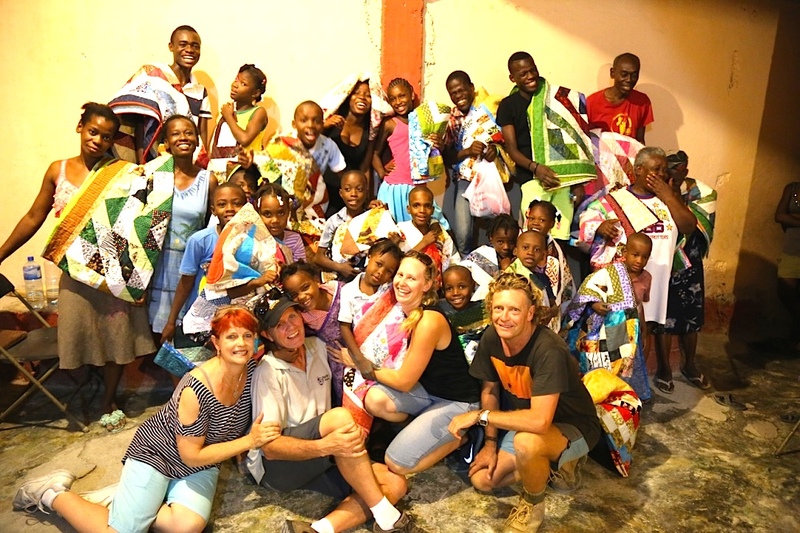 2016 September: The children receive hand-made quilts from Katrina, Jenny and Sally in Australia. Thank you to these wonderful women for your love, care and time! 2017: Renovations and painting at Love Community near completion! 2017: Alyssa, John, Laurie and the children ...painting the outdoor area at Love Community! A very special day spent with the children at the beach ...every year! 2017: Day at Calico Beach resort - spoiling the children & staff for a day! 2017: Painting and renovations at Love Community Home near completion!